Yes! 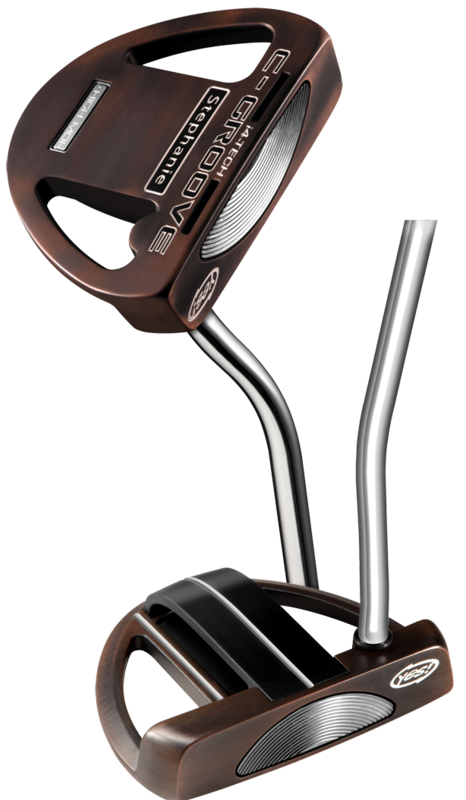 Golf was first with the idea of using curved concentric grooves in the putter face to grip the ball at impact. 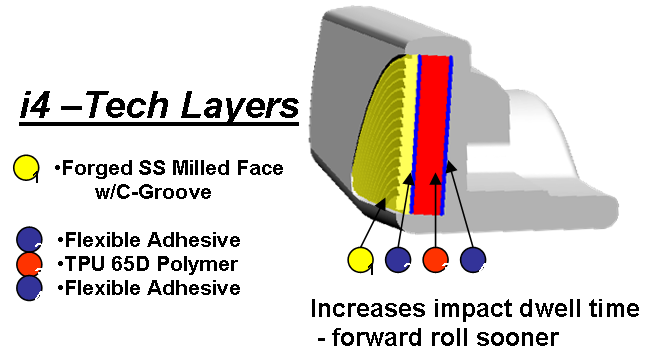 This C-Groove technology, as they call it, was tested to produce a forward roll more quickly than other putters because it reduced the amount the ball skidded and therefore it began rolling sooner. The chief benefits are greater accuracy and better distance control. The sooner the ball starts rolling – rather than skidding – the more likely it will start online, stay online and roll out the correct distance. In the final analysis you should make more putts. Now Yes! has another innovation for its newest putters in addition to the C-Grooves, a putter head made from four layers. Tagged as i4-Tech, it is comprised of a TPU Polymer base with flexible adhesives and Yes! says it gives better feel and an even truer roll. The new line has both mallet and blade models and all have heel and toe tungsten weighting.